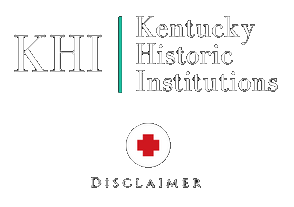 Opening in the late 1800s, the Kentucky Branch Penitentiary, now known as the Kentucky State Penitentiary, formally opened and began accepting prisoners. According to the Kentucky Department of Corrections, prisoners provided labor to help build the prison while Italian stonemasons were hired to help build the facility. The prison was largely materialized out of the need to help with overflow from Kentucky’s first prison, the Kentucky State Reformatory (Frankfort). It should be noted that Kentucky’s state constitution was later amended to disallow state prisoners from being used as labor outside of a prison setting. The Kentucky State Penitentiary was (and still is) home to the only execution chamber. Today, the prison houses Kentucky’s most violent offenders and continues to fulfill executions. Moving into the 20th century, a large number of inmates at both of Kentucky’s prisoners (Eddyville and Frankfort) died in custody largely due to tuberculosis. In the early 20th century, the first prisoner in Kentucky was sent to Eddyville for execution. Up until this time period, whippings and other punishments were a regular occurrence until they were formally prohibited by the state’s constitution. As with many of the state’s other institutions and facilities, overcrowding became an issue at the Kentucky State Penitentiary and the Kentucky State Reformatory. Moving through the 20th century, prison escapes, suicide, homicides, and riots became a regular occurrence. According to newspaper reports, during the fiscal year of 1928 to 1929 nearly 50 men were executed at the prison. Interestingly, a single night in 1929 results in a record number of seven executions by electrocution. By the 1930s, Kentucky correction system began including probation and parole to help with overcrowding issues. During this time, overcrowding was such a problem that some inmates had to sleep on cots in various areas of the prison. By the 1940s, the prison popular swelled to move than one thousand inmates. Kentucky’s advocacy group at that time discovered allegation of money racketeering, weapons, and drugs in the prison. Wardens at both of Kentucky’s prison facilities were charged with egregious violations of their position and both wardens went on to resign. Aerial View of the new Kentucky State Penitentiary Farm Complex. Davis, Billy, The Courier-Journal (Louisville, Kentucky), 23 September 1968, p. 37. By the middle of the 20th century, the prison population began declining and hit below one thousand inmates at Kentucky State Penitentiary. Allegation of employees providing inmates with alcohol, narcotics, and weapons grew increasingly high. Kentucky’s govern A. B. “Happy” Chandler wanted to sell the prison to the federal government but failed to do so. These patterns largely stayed unchanged for the remainder of the 20th century. Kentucky would eventually change its method of execution from electrocution to lethal injection with prisoner Eddy Harper being the first inmate to die from this new method. Bartleman, B. The Paducah Sun (Paducah, Kentucky), 12 November 2004, pp. 1-2. Lethal Injection Chamber, Bartleman, B. The Paducah Sun (Paducah, Kentucky), 12 November 2004, pp. 1-2. Preparing for Kentucky’s first lethal injection, Prichard, James. The Advocate-Messenger (Danville, Kentucky), 26 July 1998, p. 4. Cristina Carbone, “Kentucky State Penitentiary” [Eddyville, Kentucky], SAH Archipedia, eds. Gabrielle Esperdy and Karen Kingsley, Charlottesville: UVaP, 2012—, http://sah-archipedia.org/buildings/KY-01-143-0041. Schneider, Charlotte, “Eddyville,” Lyon County, Kentucky. National Register of Historic Places Inventory-Nomination, 1981. National Park Service, U.S. Department of the Interior, Washington, DC.